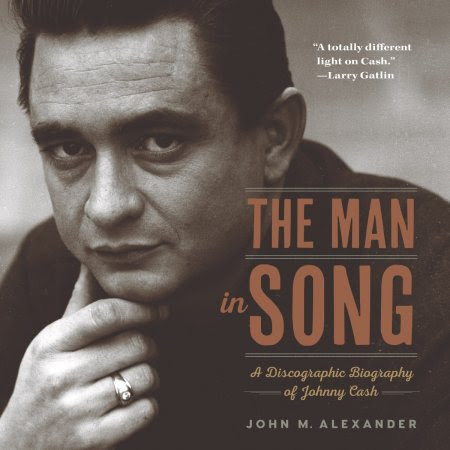 A new book, The Man in Song: A Discographic Biography of Johnny Cash (University of Arkansas Press), is described as “the first to examine Cash’s incredible life through the lens of the songs he wrote and recorded.” The book is slated for release next Monday, April 16. The Man in Song, the release continues, “connects treasured songs to an incredible life. It explores the intertwined experience and creativity of childhood trauma. It rifles through the discography of a life: Cash’s work with the Tennessee Two at Sam Phillips’ Sun Studios, the unique concept albums Cash recorded for Columbia Records, the spiritual songs, the albums recorded live at prisons, songs about the love of his life, June Carter Cash, songs about murder and death and addiction, songs about ramblers, and even silly songs. Appropriate for both serious country and folk music enthusiasts and those just learning about this musical legend, The Man in Song will appeal to a fan base spanning generations. Here is a biography for those who first heard ‘I Walk the Line’ in 1956, a younger generation who discovered Cash through songs like his cover of Trent Reznor’s ‘Hurt,’ and everyone in between. Country artist Larry Gatlin, who credits Cash as his mentor, penned the book’s foreword.